Less than three months since the release of his Selena Gomez-assisted “It Ain’t Me,” Kygo is keeping the music coming with another collaboration on Friday (April 28). 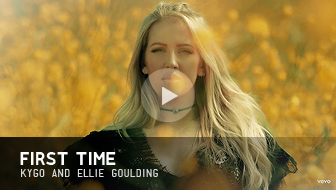 For this release, the Norwegian DJ teams up with Ellie Goulding for a record called “First Time,” which was announced on each of their social media feeds. 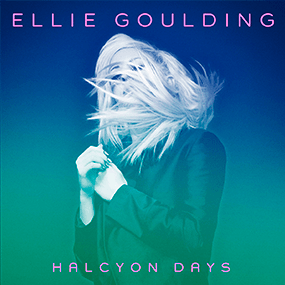 Even though Kygo is still hot on radio airwaves, “First Time” is Goulding’s first single since “Still Falling For You,” her late 2016 contribution to the soundtrack for Bridget Jones’s Baby. Earlier that year, the singer announced a hiatus from the music biz following a split from Dougie Poynter, her boyfriend of two years. But alas, the 30-year-old pop star has reportedly made a slow and steady effort on a new set alongside folks like Klas Åhlund, Jim Eliot, Carl Falk, Bloodpop and British singer/songwriter Raye. Goulding hasn’t really dished much about the follow-up to 2015’s Delirium, but we’re going to expect that her collab with Kygo is just a small appetizer to the upcoming full-length set. Considering that she’s lined up to perform at the 16th edition of Morocco’s Mawazine Festiva in May, we’d like to think she’d offer up a little teaser of her recent studio sessions during the show, right? Fingers crossed! Ellie Goulding ran into her ex bf during his gig in “Magic Mike Live,” and decided to take him for a ride … suspended above the stage. Sources at the show tell us a bachelorette is supposed to be called up for the segment, but Jackson called an audible and chose Ellie instead. She didn’t seem to mind catching up with her former backup dancer turned bf. We’re guessing Ellie felt safe with a guy who’s been trained by Channing Tatum himself. Ellie Goulding currently has her hands full of working on her fourth album in London. The singer, who once battled panic attacks while going on stage, just proves to everyone that she has moved past her mental health struggles to pursue what she loves. The 30-year-old artist shared before how she suffered from panic attacks before going on stage, especially during the Grammy’s. She disclosed how it felt like she was going through a heart attack with immense fear. Her mental health first started to suffer as she rose to fame. As she becomes a bigger star, her physical and emotional struggles took a toll on her wellness too. Despite what others thought, her life was not very “glamorous,” she told PEOPLE.com. She said as the stakes grew higher, she became crippled by the fear of letting herself and the people who believe in her down. Ellie felt the panic attacks happened because she had no confident on herself. The Burn singer started to move through her struggles by working out, specifically boxing and kickboxing. She said she sweats out not to lose weight or change anything on her physical appearance but instead as a feel herself get better and stronger. This feeling, she shared, carries into many aspects of her life. She also went through CBT, also known as the cognitive behavioral therapy, which is psychotherapy intended for changing one’s behavior and thinking. Ellie got better with the treatments and small doses of medication as per Shape Magazine. Ellie Goulding has long overcome the fear of going onstage and facing thousands of people albeit she still feels nervous, just like what happens to many people which she only realized. The way she moved past her mental health struggles just made Ellie into a stronger and braver person than ever. Over the weekend she landed in LA- presumably for Coachella, after enjoying a break in New York. And despite her star status Ellie Goulding was perhaps not quite prepared to run into superstar rapper P Diddy. The Starry Eyed singer, 30, showed her down-to-earth side as she cooed over the legendary hip hop star, 47- real name Sean Combs. The English songstress shared a video to her Instagram as she approached the I’ll Be Missing You singer before he was about to speed off in a buggy. Staring at him adoringly she giggled before appearing to bow to him- probably much to her own surprise. But the father-of-six, who is thought to be worth around £600 million, welcomed the blushing blonde warmly. Ellie Goulding wears an all-black outfit while checking out of her hotel on Thursday afternoon (April 13) in the East Village neighborhood of New York City. The 30-year-old singer was joined by her hot new boyfriend Caspar Jopling while departing the hotel. Caspar was on the Team GB rowing team and he currently works at Sotheby’s in the Big Apple. Ellie was most recently linked to Bobby Rich, a bodyguard for the Beckham family, and she was formerly in a two-year relationship with Dougie Poynter. Hellow prople, this site have a new admin. 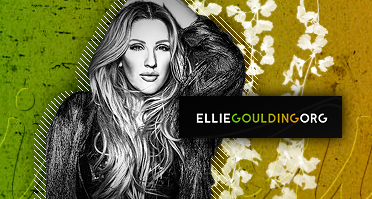 I will add all news what will be apear with Ellie Goulding! I’m excited to welcome Ellie Goulding, 2016 Grammy-Nominated international pop star and fitness icon, to our GoMacro family. Our relationship with Ellie began when Ellie posted about her love of our Peanut Butter Chocolate Chip MacroBar on Instagram. Soon after, she reached out to find out how she could get personally involved with the company that was playing a daily role in fueling her life as a fitness enthusiast and touring artist. Ellie joined us to formulate a new high protein MacroBar tailored to her personal taste and nutrition needs—guaranteed to bring you everlasting joy. Ellie combined coconut, almond butter, and chocolate chips to deliver a nutritious and satisfying balance of carbs, healthy fats, and plant-based protein. We know this bar will help you rock your workouts, fuel your runs, and be there for you whenever you need a boost of energy and protein. Sharing a desire with Ellie to give back to the community, we will donate a portion of the proceeds from Everlasting Joy to feed the homeless through UK and US-based charities.